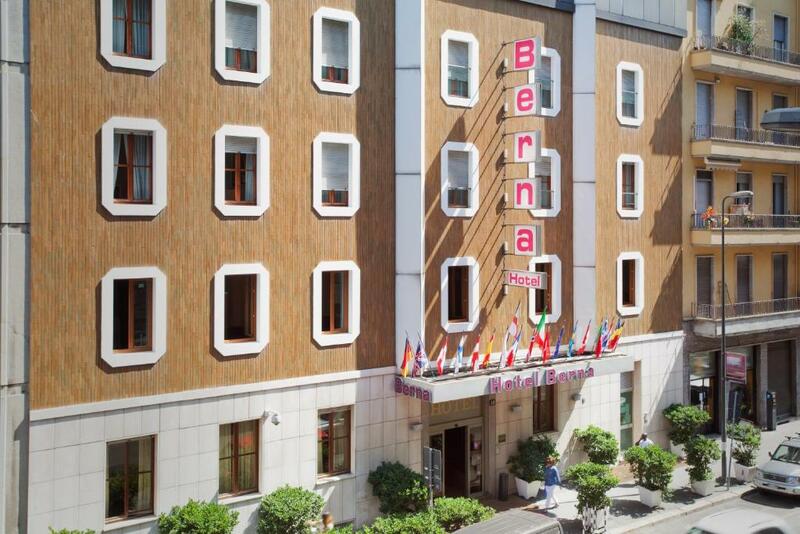 Lock in a great price for Hotel Berna – rated 9 by recent guests! Great, sizable bathroom with good shower. Very clean and nice breakfast. Overall great value. staff is so helpful. you can choose your pillow , drink and so on from some options at the time of reservation. the lobby has space for coffee and snacks. Location is great! Super close to Milano Centrale. I only had 1 afternoon in Milan, so I dropped off my luggage at the hotel, explored Milan, and left the next morning to MXP airport with the Malpensa express, which leaves also conveniently from Milano Centrale. 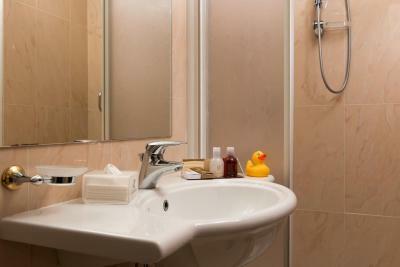 Staff was friendly, room was nice, even got a yellow rubber ducky gift? location, location, location. good breakfast. fluent english speaking staff. 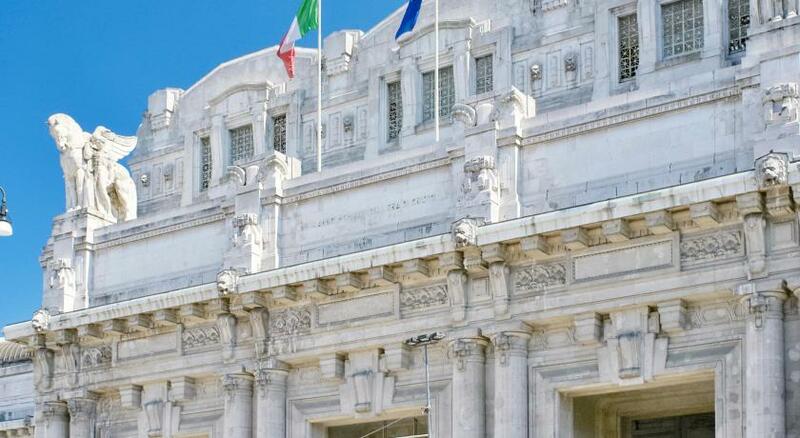 Great location right across the central train station in Milan. Staff are fluent in English and very professional. Nice selection of breakfast items. Very good hotel. Close to Milano Centrale rail station. Bedroom and bathroom has good sizes and are clean. No hairs on the bed sheets! 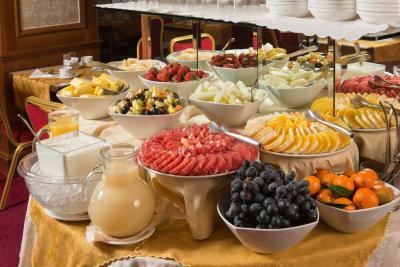 \o/ Breakfast also very good, with a wide variety. 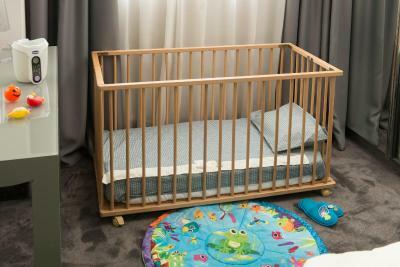 It’s approved for a new stay in Milan! Room was very clean the bed was comfortable and the staff was very friendly. 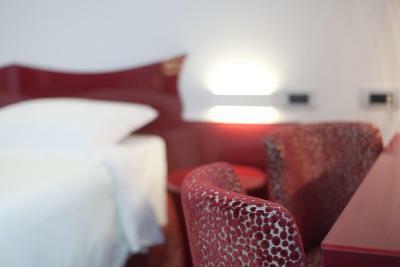 The staff and facilities at the hotel Berna, combined with being only a two minute walk from Milano Centrale train station make this a great place to stay. Breakfast is wonderful and the Bartender makes a fantastic negroni. Breakfast was very good. Staff professional. 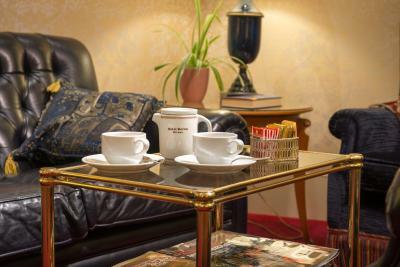 Overall a good hotel very near Central Station, 6 minutes walk. 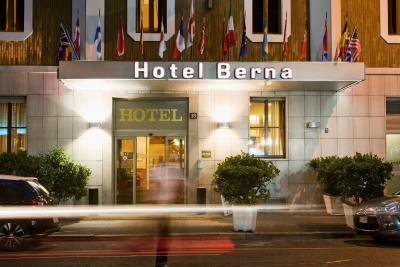 Hotel Berna This rating is a reflection of how the property compares to the industry standard when it comes to price, facilities and services available. It's based on a self-evaluation by the property. Use this rating to help choose your stay! 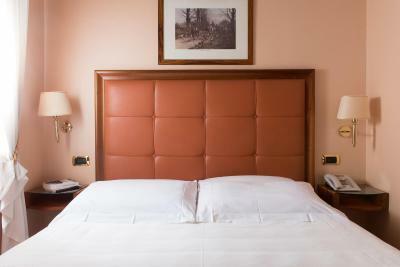 One of our top picks in Milan.Hotel Berna is located 650 feet from Milan Central Train Station and Metro. Free tea, coffee and snacks are available all day. All rooms are soundproofed and include air conditioning, free WiFi and a satellite LCD TV. 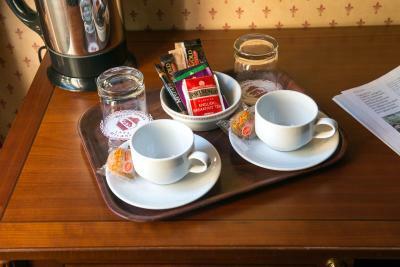 Offering free soft drinks in the mini-bar, rooms at the Berna Hotel also come with a safe, telephone with voicemail, and a fully equipped bathroom. 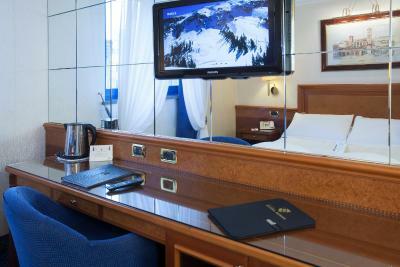 Most rooms are located in the main building, while a few are in the Berna Tower annex, which has a 3-star rating. 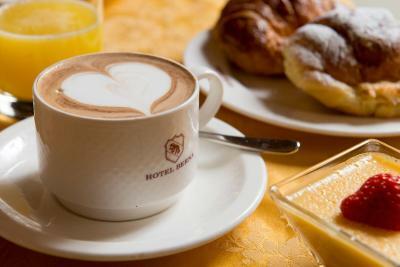 The Berna Hotel serves a large, continental breakfast buffet including fresh fruit, pastries and a selection of teas and coffees. 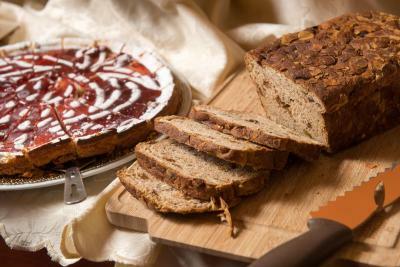 Special diet foods are also available on request. 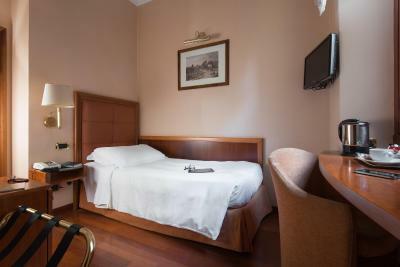 This nonsmoking hotel is just 4 Metro Stops from the famous Milan Cathedral. 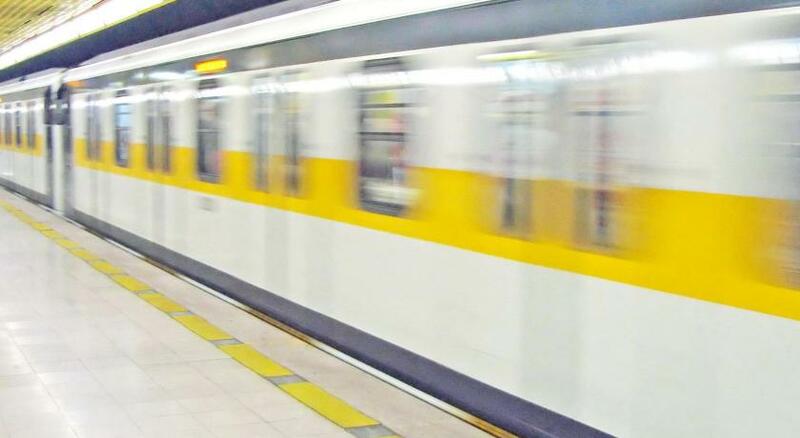 By metro or bus you can easily reach all main attractions in town, as well as the MiCo Congress Center and the Rho FieraMilano Exhibition Center. When would you like to stay at Hotel Berna? Offering free WiFi and individual air conditioning, this soundproofed room comes with an LCD TV and safe. Free soft drinks are available in the mini-bar. The room comes with parquet floors. 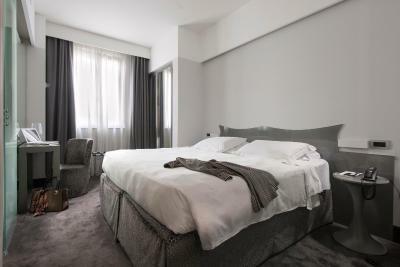 Offering free WiFi and individual air conditioning, this elegant and soundproofed room comes with an LCD TV and safe. Free soft drinks are available in the mini-bar. 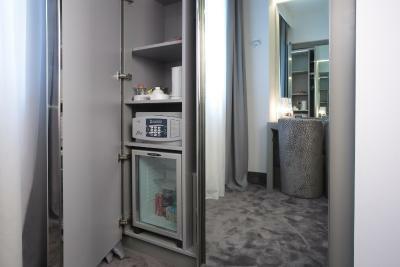 The bathroom is fully equipped and includes soft bathrobes. This room includes a double bed plus an extra bed, or 2 single beds plus an extra bed. Please specify bed preference when booking. Offering free WiFi and individual air conditioning, this soundproofed room comes with an LCD TV and safe. Free soft drinks are available in the mini-bar. The room comes with carpeted floors. This room is located in the Berna Tower annex, which is on the other side of the street and has a 3-star rating. House Rules Hotel Berna takes special requests – add in the next step! Hotel Berna accepts these cards and reserves the right to temporarily hold an amount prior to arrival. 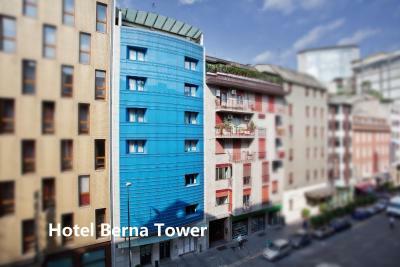 Most rooms are located in the main building, while 16 rooms are located in the Berna Tower annex. 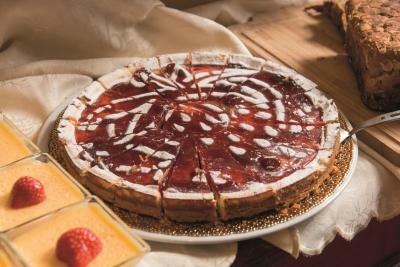 The annex is located on the other side of the street and has a 3-star rating. The hotel was very good and exceeded every expectation. I arrived early, and as the room was not available yet, I was invited to sit in their lounge and have coffee; one of the staff even brought some croissants for me and other guests in the lounge. 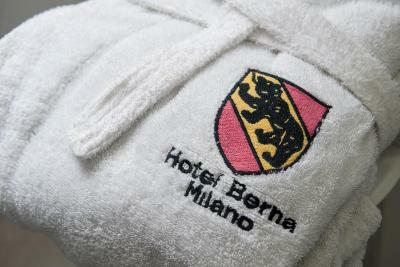 The next time I am in Milan, I will definitely choose to stay at the Berna. Great location, my room was very nice and the staff were all wonderful. Minus one - the hotel requires redesign in the lobby. That's for sure. But in my room everything was already modern and dignified. The room is very different from the hotel lobby. These are my wishes - the hotel should have an interesting design. Thank you so much for the hotel. Pros - very happy from the subway. I had a superior room. Everything is clean, fresh, white linen. 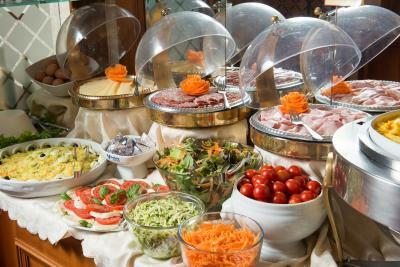 Breakfast was delicious, the waiters walked in and all helped. There was fresh juice. The staff is very nice and helpful. I am very pleased with the time spent there. I wish prosperity to this hotel. Thank you again. Room was a bit smaller than I expected but being a lone business traveler it wasn't a problem. Room was comfy and had aircon. Location was great, very close to metro and restaurants. 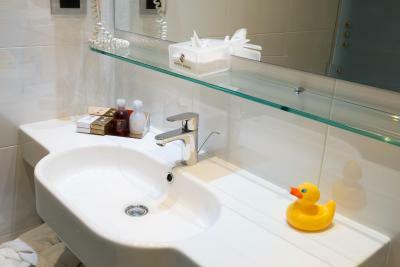 Loved the free rubber duck in the bathroom! Very friendly staff and concierge meant that I didn't have to worry about parking my car in busy Milan streets. It's a bit expensive to pay for the parking. Also, I found it strange that a 4* hotel does not have a fitness center, but overall a very positive experience. The hotel isn't extraordinary as a building, but the staff made up for it. The staff. The feeling. Welcoming and extremely hospitable. 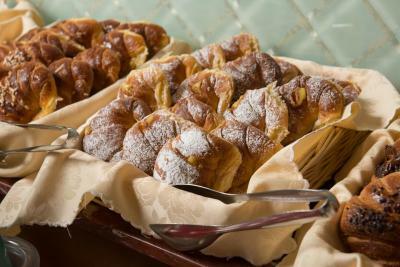 Superb breakfast, walking distance from the central station. Nice staff. Reception desk staff is unattentive and does not smile. I've have stay here before. 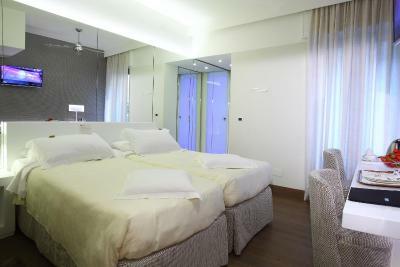 They provide a good standard single room which helps with the tariff. 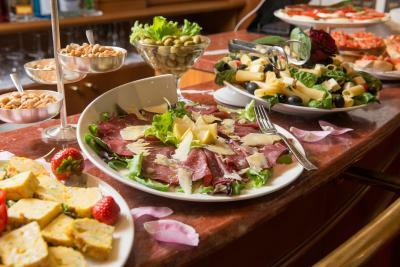 Drinks in the fridge are with compliments, which most do not offer, and the whole standard, service, rooms, cleanliness, good location to Milano Centrale all comes up tops in comparison to others. Wifi is excellent and the staff will go out of their way to assist in with anything. The street was a bit noisy one night, but the hotel is not to blame for that!